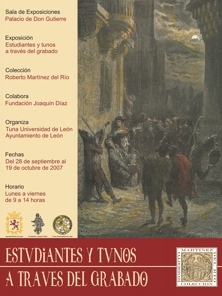 The Castilian and Leonese Institute of Language, in collaboration with the City and County of Palencia, on the occasion of the eighth centenary of the founding of the first university in Spain in the city of Palencia, pays tribute to the university through its presence in the books, showing a portion of the funds of the International Museum of the Student. This exhibition can be seen in the Palacio de la Isla de Burgos (Spain) from October 8 to December 31, 2012. The exhibition presents for the first time in the capital of Burgos to continue its journey through different towns of Castile and Leon. In it we see rich panels that recall the VIII Centenary of the General Study of Palencia accompanied of sixty originals of the Museum, which made ​​a complete tour of the history of student literature. Palencia at primum. About books and students is a temporary exhibition that looks back five centuries of student life and history of universities through many comedies, interludes, farces, chapbooks, operettas, novels, or scripts treaties, among others. The look of the study is a temporary exhibition that gathers one hundred fifty years of student life worldwide. A total of one hundred snapshots made ​​a complete tour through the history of photography, from the earliest cartes de visite, popularized in the mid nineteenth century, until digital techniques imposed today. 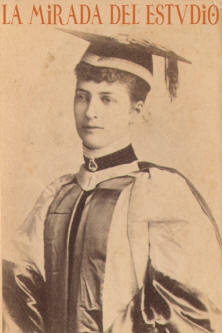 The photographs show the changes caused by the passage of time and the enormous cultural wealth of the student world. Students anonymous, great personalities, historic moments converge together in this temporary exhibition with pieces from fifty countries. and 20 September 2012. Organized by the Association of Anthropology Cordobesa. Students through history is a temporary exhibition dedicated to the figure of students from different points of view. Through prints, photographs, literary works, prints, sheet music and documents, visitors can delve into the customs and lifestyle of students in past centuries. The exhibition includes more than one hundred selected pieces from the collection of International Museum of the Student. 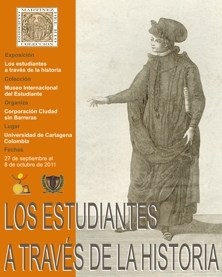 This exhibition made ​​be contemplated, for the first time, at the University of Cartagena (Cartagena, COLOMBIA), between 28 September and 2 October 2011. The temporary exhibition Students and tunos over the engravings is a historical review of the spanish student through the eyes of the principal authors and writers of the eighteenth and nineteenth centuries, among which make stand out figures such as Juan de la Cruz, William Bradford, Jose Ribelles y Helip, Alejandro de Laborde, Francisco Javier Parcerisa y Boada, David Roberts, Gustave Dore and Jose Garcia y Ramos among others. The exhibition contains a total of fifty original engravings selected from the collection of the International Museum of the Student. It has the support of the Fundacion Joaquin Diaz of Urue�a (Valladolid, SPAIN). This exhibition was installed in the Palace D. Gutierre of Leon from 28 September to October 19, 2007. The art of Tunar is an exhibition organized and designed by the Fundacion Joaquin Diaz. It is based on the collection of prints, photographs, scores, chapbooks, costumes, books, manuscripts, musical recordings and documentation of the International Museum of the Student, with contributions from Luis Delgado's Museum and from the Fundacion. 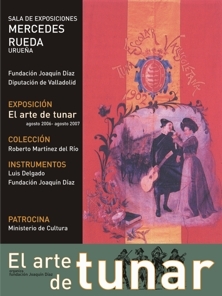 The temporary exhibition was installed between August 1, 2006 and August 1, 2007 in Mercedes Rueda's exhibition room of the Foundation which is headquartered in Urue�a (Valladolid). contains these original pieces from the eighteenth, nineteenth and twentieth centuries.